Wow what a year the Ansel’s and their kids and grandkids had hunting this year. Ten deer taken and nine of them were bucks! A couple of the grandkids shot their first deer which was quite a thrill for my Brother Randy as three of his grandkids downed bucks along with his son Justin. And just to add icing on the “game pole” four (4) of those deer are large enough to make the Commemorative Bucks of Michigan record book! The smallest of those four was my 8 point shot in late November with a crossbow. It “green scored” 118 inches. It takes a minimum of 100 inches to make the book. Next was 10 year old Jax Jones who shot a whopper of a ten (10) point while hunting with his grandpa Randy. Jax deer was also taken with a crossbow, and green scored 125 inches. Next came Darryl’s last day muzzle-loader bruiser. His heavy racked eight point green scored 130 inches! Of course I saved the best for last with Darryl’s son in law Scott Smiley downing a massive eight pointer with a deadly double lung crossbow shot. Scott’s deer green scored 150 Boone and Crockett inches, and is one of the biggest bucks ever taken by any member of this family. Only my Hillsdale 160 inch 8 pointer is bigger, and were talking about hundreds of deer harvested over the past 55 years by the 6 Ansel brothers. There is a 60 day drying period before an official score can be taken, but it’s safe to say all the deer will make the record book with ease. for me it’s just nice to have some tasty venison in the freezer to enjoy over the winter, and to share with friends. Pictures posted will be from smallest to largest buck! 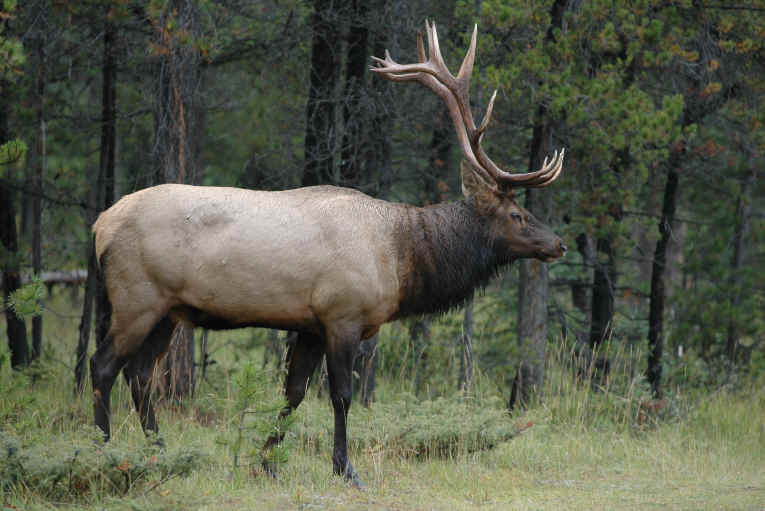 Elk Herd Perished On The Powder River! Ratliff said wildlife officials went to the river to see whether they could save any of the elk, but the conditions were too dangerous. Very sad situation, as the elk have a hard enough time making it through the winter without a whole herd being wiped out! It will take many years for the herd to build back up in this particular area. What a helpless feeling for the protectors of wildlife not to be able to do anything to save even one animal! Toward the end of november I dropped a pretty decent buck (northern lower) and just got the European mount back from the taxidermist! Just to satisfy my own curiosity I decided to get out the tape and “green” score it! The last measurement you get is the circumference between the points. Take the narrowest circumference between the brow and G-2, G-2 and G-3 and measure the halfway point from the G-3 and the end of the beam point. Also measure the circumference around the base of the beams. That will give you a total of 4 base measurements which is all you get no matter how many points your deer has! Mine came out with a total of 4-4/8, 4,4,and 3 on the right side and 4-4/8, 4,4-4/8, and 3 on the left side. That totals 31-4/8 in total base measurements. My score came out to 16-4/8 ‘inside spread, plus 27-5/8 point length, plus beam lengths of 42-4/8, and 31-4/8 circumference measurements which equals a total “green” score of 118 1/8. It takes a total score of 100 inches to be entered into the Commemorative Bucks of Michigan record book if your deer was taken with a bow or crossbow! Looks like after the official 60 day drying period mine should make it with room to spare! Venison Meatloaf The Fruit Of My Labor! A few days ago I thawed out 3 packages of venison burger as I really wanted some venison meatloaf. I mixed the meat in a big metal pan and added italian breadcrumbs and then smashed up some soda crackers, and mixed them in. Next came salt and pepper plus some Lowery’s seasoned salt. A diced up onion goes in next and sometimes I add some chopped green peppers, but not this time. Catsup is next as I mix (by hand) all the ingredients. The oven is preheated to 330 degrees, and a little water is added to the roasting pan. I always peal and cut up potatoes and carrots to place around the meatloaf so you have a whole meal in one roasting pan. After about 2 hours we were good to go, and I was able to enjoy the fruits of my labor. Nice lean, untainted, meat put on the table by yours truly. No additives, preservatives, gmo’s or growth hormones! The meatloaf was so big and delicious I was able to share it with friends, and thats what its all about. I’ll be cooking up some of those wonderful venison steaks over the holidays when the “crew” wants some good “wild” meat to sink their teeth into. The Man Who Loves Bears! In the mountains of West Virginia, Joel Rosenthal, 74, raises his bear cubs, five of them, on a wildlife refuge. Rosenthal, a retired biologist, founded Point of View Farm in 2000 to get away from people. In interviews he admits to preferring four-legged animals to the two-legged variety. Rosenthal cares for orphaned and injured wildlife until they’re ready to live on their own. The bear cubs, in particular, he protects during hunting season. The bears are raised in his own house, and Rosenthal spends his days napping with them, nursing them by hand, and hiking with them. His dream however was not so easily realized. Rosenthal took a case all the way to the Virginia State Supreme Court to assure his right to care for the animals. In 2005, the Department of National Resources in Virginia had issued him a cease and desist order. After a four-year legal battle (Rosenthal represented himself), he won the right to care for the bears and other animals on his farm. Rosenthal has never be hurt by interacting with black bears! WASHINGTON — The National Park Service today put forward a draft plan to release 20 to 30 new wolves on Isle Royale over a three-year period as a way to bolster a population on the remote Lake Superior island that has dwindled to just two and is in danger of vanishing altogether. If the Park Service – which for more than a year has been looking at the fading Isle Royale wolf population and a moose herd that has swelled to 1,300 animals with its main predator in decline – follows through, it could quickly revive a closed ecosystem on the rugged 45-mile-long island protected from hunting and existing largely outside of human interference. But it could also stir up concerns that the Park Service, in an attempt to address climate change and warmer winters that have in recent years reduced ice bridges to the island – in turn halting natural wolf migration from Canada – is setting a precedent that some environmental groups believe violates the federal Wilderness Act’s requirement that lands remain “untrammeled” by human intervention. … environment.” The proposal also calls for monitoring wolves placed on the island by radio collar. Poachers Pay Huge Fine In Wild Duck Poaching Case! As you can see from the below article posted by the Michigan Department of Natural Resources poaching can be a very costly crime. Those 60 ducks ended up costing each of the poachers about $100 dollars per duck, which amounts to a fine and restitution of nearly $6000 dollars per man! Not only that they lost hunting privileges for 3 years, and also lost their shotguns! Four Ottawa County men ticketed recently for poaching nearly 60 wild ducks from a private agricultural pond near the Grand River watershed were sentenced this week in district court. Tyler John Meerman, 24, of Conklin, Colson Thomas Modderman, 22, of Wyoming, Justin Allen Beckman, 20, of Coopersville; and Michael Duane Sorenson III, 20, of Marne pleaded guilty Tuesday and were sentenced the same day in Ottawa County District Court. The convictions resulted from an Oct. 9 incident, near a popular waterfowl hunting area in Chester Township, which is situated in the northern part of the county. 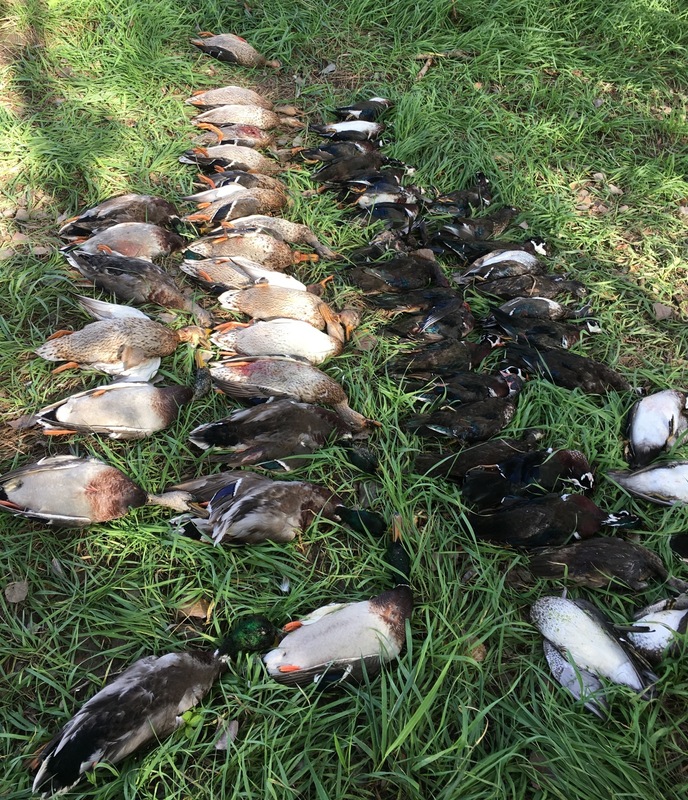 A total of 58 ducks were killed. Minutes later, Rodgers and conservation officer Chris Simpson responded, headed for Chester Township. Rodgers said he found the four men on private property along an agricultural pond. He saw them shooting at crippled ducks on the water and gathering them. Michigan conservation officers are fully-commissioned state peace officers who provide natural resources protection, ensure recreational safety and protect citizens by performing general law enforcement duties and lifesaving operations in the communities they serve. Learn more about the work of conservation officers at the DNR website at www.michigan.gov/conservationofficers. 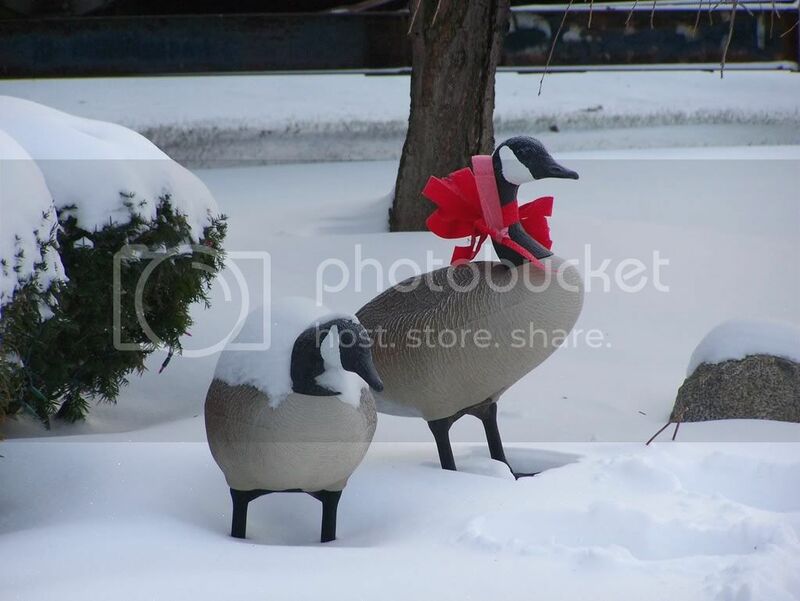 /Note to editors: An accompanying photo is available below for download and media use. Suggested caption follows. Credit: Michigan Department of Natural Resources, unless otherwise noted. LANSING, Mich. — For the fourth time in recent years, Michigan lawmakers are moving to authorize wolf hunting — this time after the state Court of Appeals recently declared a 2014 law unconstitutional. The Republican-controlled Senate approved legislation Thursday that would define wolves as a game species and authorize the Natural Resources Commission to designate game, consistent with sound scientific wildlife management. The bill was sent to the GOP-led House, where a committee quickly approved it and set the stage for a final vote next week — the final one of the two-year term. Wolf hunting is not allowed in Michigan, Wisconsin and Minnesota under a 2014 federal judge’s ruling that threw out an Obama administration decision to remove gray wolves in the western Great Lakes region from the endangered species list. But the bill sponsor, Republican Sen. Tom Casperson of Escanaba, said the state should have a wolf-hunting law on the books in case Congress addresses the issue. Michigan had a wolf hunt in 2013. In 2014, Michigan voters rejected two laws allowing wolf hunts. But the votes were symbolic because majority Republicans had approved a third measure initiated by pro-hunting groups. I can understand some of what most Upper Peninsula hunters and sportsmen are saying concerning the reintroduction of wolves to the eco system! In the area around Marquette where we hunt bear, wolves have been spotted (by us) and we have run across their tracks on occasion. I say that because the landowners in the area have a long family history of deer camp/hunting. The last few winters have been hard on the deer heard, but wolf depredation has also cut into the deer population. So much so that one camp I know of has gone from 4-5 nice bucks a season to just one small spikehorn this year! The only reason they harvested the spike is it was a grandsons first deer. It seems to be like that over most of the territory the wolf roams! They are stealthy killers and have done their share of damage on livestock and family pets. In my opinion the various wolf packs have to be kept in balance with the available food sources (deer) or more livestock and pets will be on their menu! There is such a thing as “to much of a good thing!” The votes against a wolf hunt mainly come from “down staters” who do not deal with the complex issues of keeping the wolves within an acceptable range, managing the deer herd, livestock restitution payments, or distraught pet owners! Let those in the Upper Peninsula decide this issue with out the emotional baggage of metropolitan voters downstate!